We all imagine that a nasty fire is something that happens to other people. The bottom line is, it’s just not worth taking such a risk. Shebang Security can work with you to protect your property, and the people who live or work in it. You really can’t put a price on such peace of mind, although we are extremely competitive on pricing whilst also offering a wide range of quality products and excellent customer service. We are an ‘Insurance Approved’ company that can be found on the police authority and local council lists of approved installers. 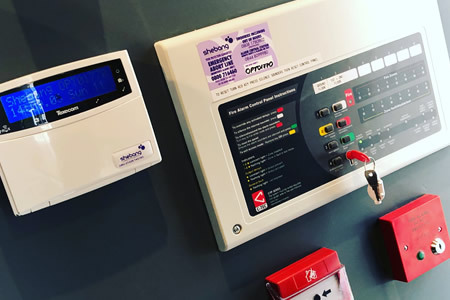 We are accredited by the Security System and Alarm Inspection Board (SSAIB) and are inspected accordingly which ensures all of our Fire Alarm systems are appropriate to the risk insurance approved and certificated on completion. The most important thing that Fire Alarms protect is, of course, human life. However, a damaging fire could also leave you homeless, destroy all your worldly possessions and for businesses, mean that that you may have to cease trading. Your insurance company may well pay out but this can take time and can be an extremely stressful process. 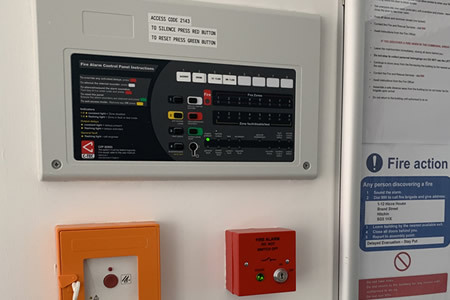 Shebang Security can advise you on the many type of Fire Alarms available and a system that will suit your specific requirements. Remember that if you run a business, you have a legal obligation to provide the appropriate fire detection and alarm system for your workplace. Our team can advise you on those obligations to make sure that you are meeting requirements. 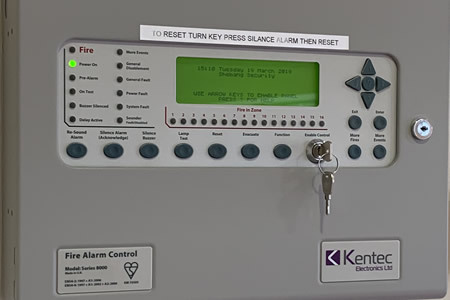 All of our engineers are fully trained to design, supply and install Fire Alarm systems to the highest standards. 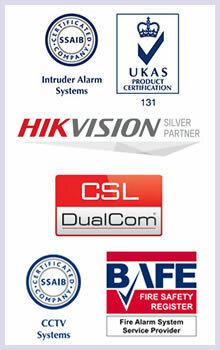 Please give us a call on 01438 745 183 or email us at sales@shebangsecurity.com to discuss your requirements. We’re happy to offer advice and a free no obligation quote. Shebang Security is a market leader in the supply and installation of top quality and cost effective security solutions for both domestic and commercial customers. © 2019 Shebang Security | All Rights Reserved.